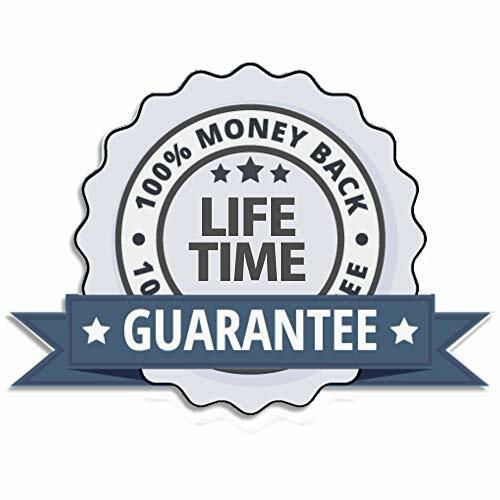 ✔️NEED HELP TO ORGANIZE YOUR LIFE? 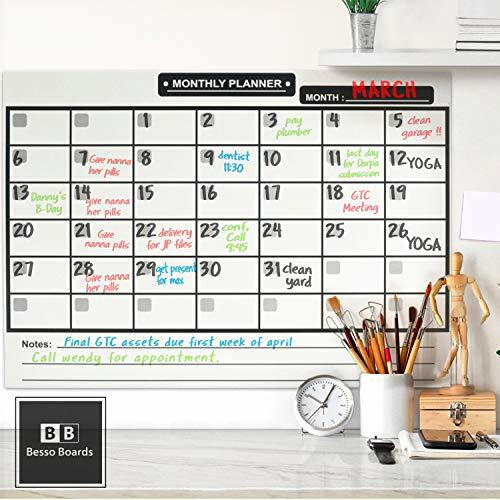 - Start 2019 with the 17x12 magnetic dry erase calendar and BONUS weekly planner will help you keep track of shopping, grocery lists, important family events like birthdays, dates for work, life, chores, or use as a classroom calendar, this board is the solution to your busy schedule. 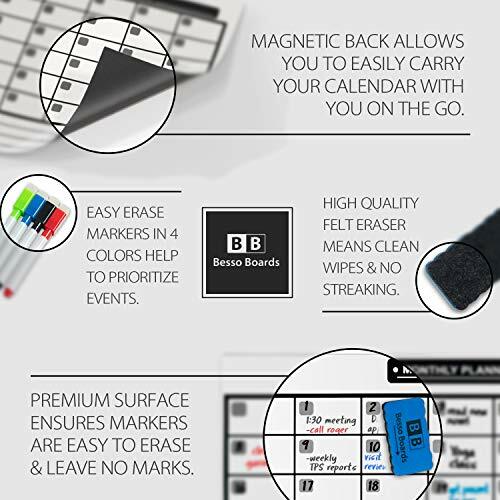 ✔️EASY TO CLEAN AND NO STREAKING - Our 4 colors of dry erase markers and board wipe off easily. No worrying about staining and streaking. 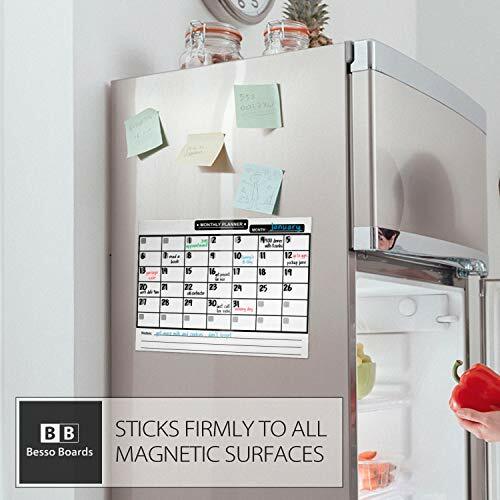 Simply use a mild cleaner and wipe the board to new condition. 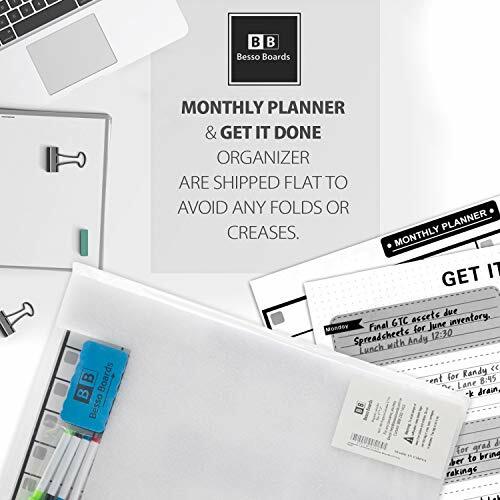 ✔️PERFECT FOR VISUAL ORGANIZATION & TRACKING - Think of this as your command center, life these days have so many things happening. 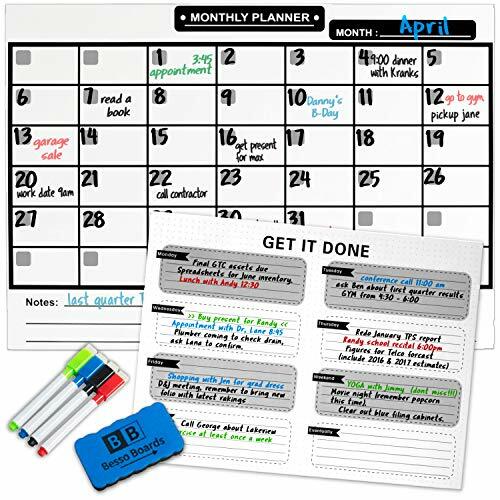 Make sure you're able to get things done and be on top of important dates or keeping others informed with the large magnetic weekly and monthly calendar. 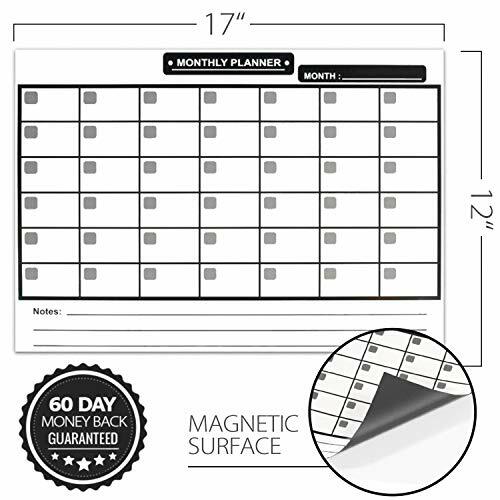 ✔️GREAT FOR FRIDGE or WALL & INCLUDES BONUS MARKERS, ERASER, & WEEKLY SHEET - The calendars are both magnetic and ship flat making them great for putting on the refrigerator, whiteboard, chalkboard or hanging up on the wall. Keep your notes and priorities in check. 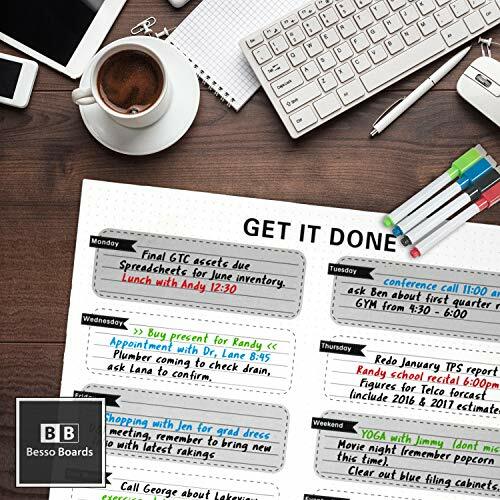 ✔️100% SATISFACTION IS OUR MAIN GOAL - We have invested lots of research and quality control into the white board calendar and want you to be 100% satisfied with your purchase.